What’s the cost of building an extension in 2019? Extensions can be a tricky subject. It can be difficult to get a clear understanding of all the rules, regulations and costs. That’s why it’s a good idea to get a proper handle on extension costs before you dive in. It’ even worth using an extension cost calculator to give yourself a general price overview. But how much does an extension cost? As with most things, the cost of building an extension varies depending on what you want. Obviously, smaller or less complex extensions are cheaper. Kitchen extension cost, two storey extension cost, single storey extension cost – all of these will differ. Where you live plays an important factor too. If you live anywhere near London, it’s likely your extension will cost more. So that’s something to bear in mind. But that doesn’t mean there aren’t general guidelines or rules. Below are some rough numbers for each kind of extension that can help give you a general idea. If it all depends, how much does a single storey extension cost? In 2017, an estimate for the cost of a single storey extension is anywhere between £1,250 and £1,750 per m2. In London and the South East, this could be anywhere between £1,600 and £2,100+ per m2. Let’s say you’re looking for a 5m x 5m extension. The cost of an extension might be around £30,000. In London, maybe even up to £50,000+. That’s just for building the extension. If we add on 10-15% for professional fees for the architect, planning application, building regulations, structural engineer and so on the cost goes up. And let’s not forget about VAT. All in all, a single storey extension could cost £39,000 at the lower end. £65,000 in London at the upper end. Check out costs for yourself by getting 3 quotes from builders local to you by using Rated People. What about two-story extensions, then? If both storeys are the same size, a generally-accepted rule is to add 50% extra to the build cost of a single storey extension. Again, London and the South East will more likely be pricier. To get a general overview of your specific needs, plug your numbers into a house extension cost calculator. Things get a bit more complicated when you start thinking about kitchens and bathroom extensions. Plans and permission need to account for plumbing and then the plumbing actually needs to be installed. 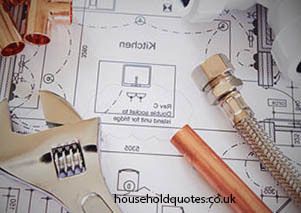 And to ensure your extension is up to your expectations, it’s a good idea to get this done properly. For a bathroom, you’ll need to add about £5,000. But this can also depend on your finishes and what you actually want from the bathroom (toilet, shower, bath). It’s worth noting that, from a planning permission point of view, you can have showers and WCs anywhere. A Kitchen will be more than a bathroom, around £10,000. This will result in a low/mid-range kitchen. So it can all depend on how fancy you want your kitchen to be. Because both kitchen and bathroom extensions will vary in your tastes, it’s best to use a house extension calculator to figure out your ideal extension. You now know the cost of a house extension, but what if you live in a bungalow? What would extension prices be then? Well, because bungalows are on the same level, bungalow extension costs are similar to single storey costs. There used to be a law around minimum ceiling height. While this is no longer part of Building Regulations, there is still a minimum height for practical purposes. This is worth taking note of in attic and cellar conversions – especially if you or anyone you know is exceptionally tall! Rooms normally have a floor-to-ceiling height of at least 2.1m, although most are 2.4m. In rooms with sloping ceilings, like attics, around half of the floor area should have a standard floor-to-ceiling height of 2.1-2.4m. As briefly mentioned above with kitchen and bathroom extensions, it’s the extras that can sometimes add up and lead to hefty bill. If you’re happy with simple painted walls, carpet or engineered wood floors, and standard lightings and electronics then your costs will be kept low. But higher end stuff, like tiling, fitted joinery, bespoke flooring and so on costs will rise. Make sure you account for this in your extension cost calculation. Just make sure you’re getting what you want and don’t let anyone sell you the most luxurious finishings if you’re happy with a simple finish. In your excitement to extend, you might have forgotten about windows. It’s ok, lots of people do. Yet they can be an expensive addition to an otherwise modest extension cost. And of course, the bigger the window, the bigger the cost. Plus, higher levels of glazing, slide doors, and enhanced insulation will all add to the cost. Think carefully about windows before you draw up any plans. Trees are even trickier than the extension itself. Many trees are protected by Tree Preservation Orders, so make sure you take any tree into account when you are requesting planning permission. If you remove or alter a tree without the correct permission, you could end up in big trouble. Do not forget to factor in additional costs about your site. If you have a complex site, you’ll need to ask your builder to factor in any extra costs. You should get 3-5 quotes for any extension to your home. That way you can get a feel for what the market rate is, as well as see who you get on with the most or feel is most capable of the job. After all, they are going to be around for a while! But don’t confuse an estimate with a quote. Usually, when builders, surveyors, architects and so on first visit a property they’ll give you an estimate. This is a good starting point but it can differ from an actual quote. You’ll receive an actual quote in writing usually after everyone has gone away and done some thorough calculations. This is your quote and is what the project should cost. It’s also worth making sure you have someone else with you when you get quotes. It can be helpful having another opinion on price, timeframes, and personalities. And you’ll also feel less pressured to make a decision there and then if you have someone else you trust with you. The average cost per m2 for an extension outside of London is between £1,200-£1,500. In London and the South East, the average cost per m2 is around £1,500-£2,000+. For two-storey extensions, add 50% to the cost of a single-storey extension. If you want to add a bathroom or kitchen, add £5,000-£10,000. Don’t forget about windows, finishings, fixtures, or trees! Make sure you include these in your planning and cost estimates. If you don’t, you could be in for a surprise when the final bill comes. Get 3-5 quotes and ideally have someone else with you when you get them. Planning a house extension is a big job that can seem daunting, especially with so many things to think about. It’s best to start with figuring out the cost. Once you’ve got a rough idea of how much your extension will cost, you can move forward with everything else. There are other places to start, of course. But the best place to start will always be with a general cost calculation. I am getting a single storey extension built and the builder has used breeze blocks outside and inside wall. Size 3m length and 5m width. Am I paying too much as it’s built from breeze blocks. Hi. Looking for quotes for a 6m x 6.5m kitchen extension to rear of ex council house, shell only. Pitched tiled roof and block/ brick walls. Few little quirks like replacing and building over shared sewer and full width sliding doors and underfloor heating. Project is in mid Sussex, quotes so far are £53k and £79k (both plus vat). 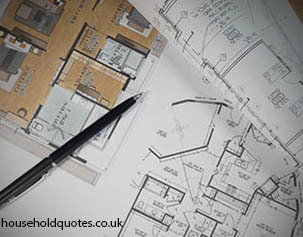 We have detailed drawings and spec from architect. We have tiler and going to decorate and fit our own kitchen, these prices seem high, don’t they? Sounds expensive, i’d definitely get some more quotes. Get Your FREE Extension Quotes NOW!